North Carolina is experiencing its worst chickenpox outbreak in decades as 36 children have been diagnosed at a private school where many families claim religious exemption from vaccines. It's the largest outbreak in the state since the varicella vaccine, which protects against chickenpox, was introduced in 1995. The sick children all attend Asheville Waldorf School, in Ashville, which enrolls children from early childhood through sixth grade and has one of the highest rates of religious exemptions from vaccines in North Carolina. As of the 2017-18 school year, 110 of the school's 152 students had not received the vaccine, the Asheville Citizen-Times reported. North Carolina requires certain immunizations for kindergartners, including vaccines against chickenpox, measles, and mumps but the state does allow medical and religious exemptions. Chickenpox is a very contagious disease that causes a blister-like rash, along with itching, fatigue, and fever. Chickenpox can be serious, especially in babies, adults, and people with weakened immune systems. The disease can lead to pneumonia, infection or inflammation of the brain, and blood stream infections. Health officials say the best way to prevent infection is to be fully vaccinated. 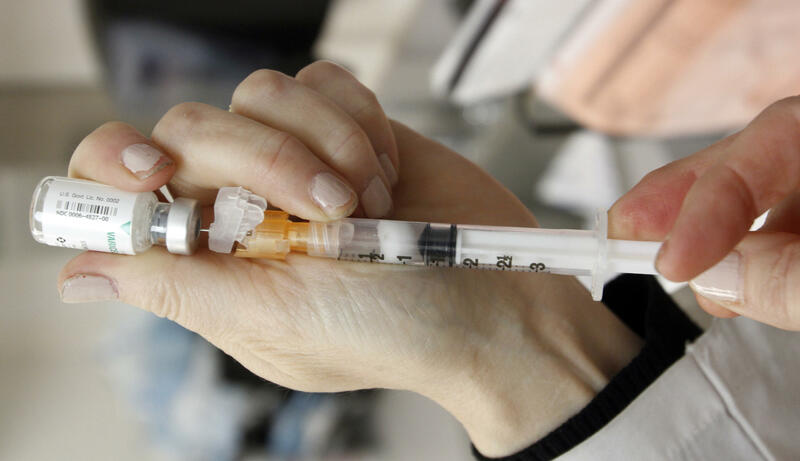 "Two doses of varicella vaccine can offer significant protection against childhood chickenpox and shingles as an adult," Dr. Jennifer Mullendore, the Buncombe County Medical Director, said in a statement. "When we see high numbers of unimmunized children and adults, we know that an illness like chickenpox can spread easily throughout the community- into our playgrounds, grocery stores, and sports teams." People with chickenpox or who have been exposed to the disease should stay away from school, work and group activities where they could put others at risk.